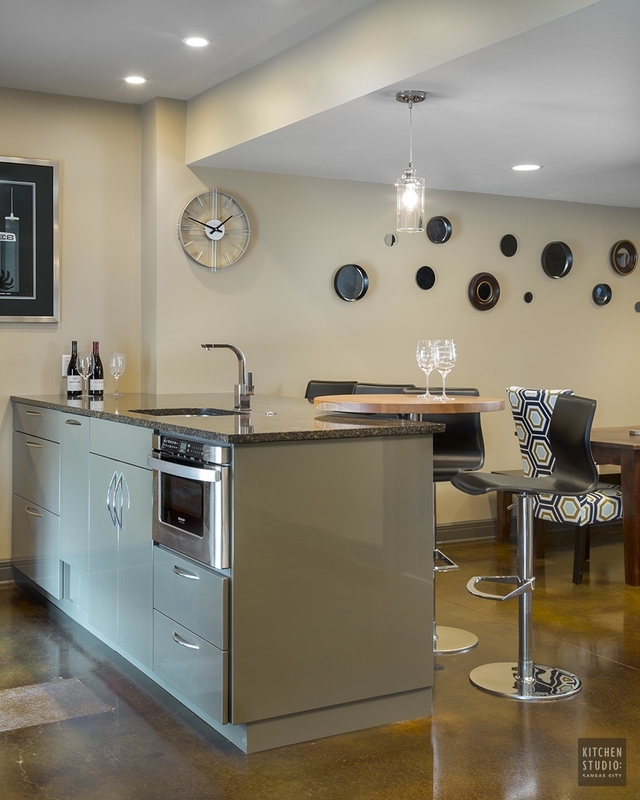 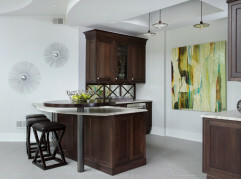 This custom basement bar was created for two homeowners that love to entertain. The formerly unfinished basement had a lot of potential, and we were able to create a theater room, bathroom, bar, eating and lounge area and still have room for a full size pool table. 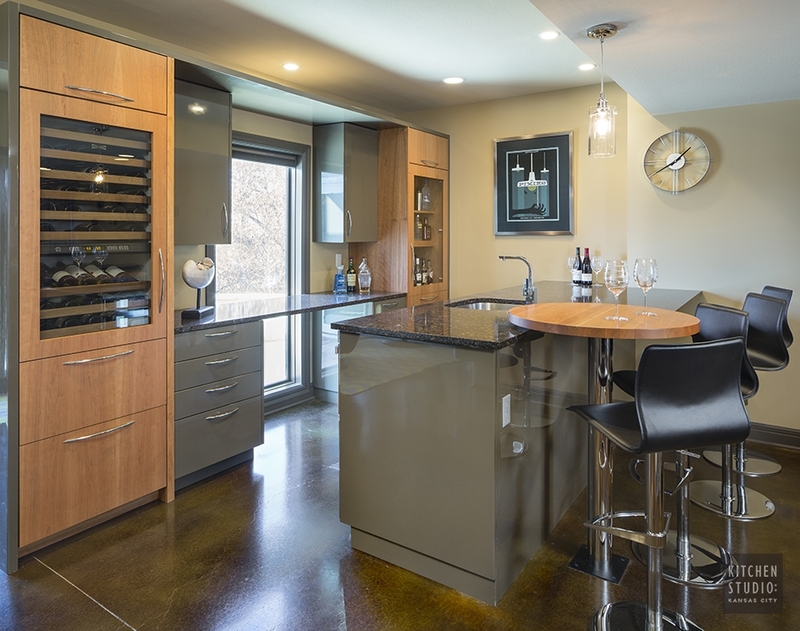 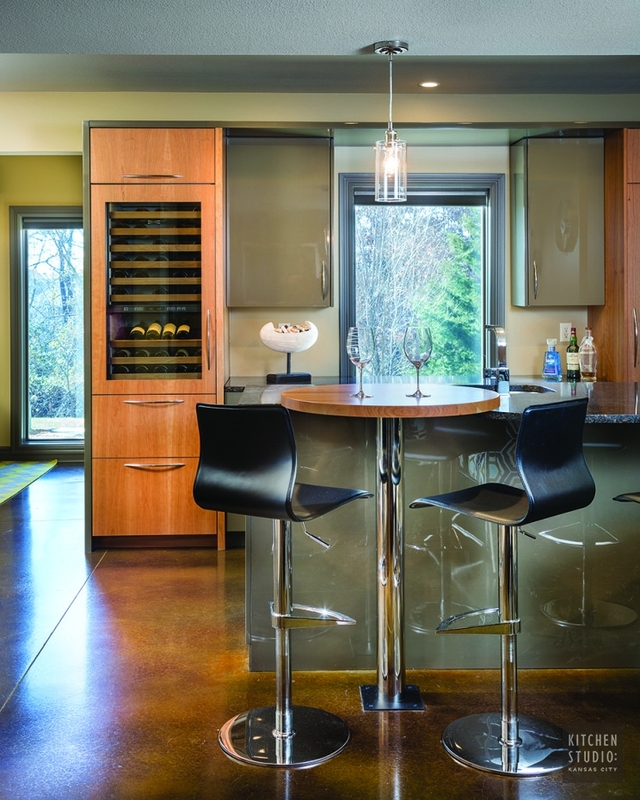 The concrete floors were stained a warm color and the industrial feel of them with the clean and contemporary cabinetry is a delightful contrast.